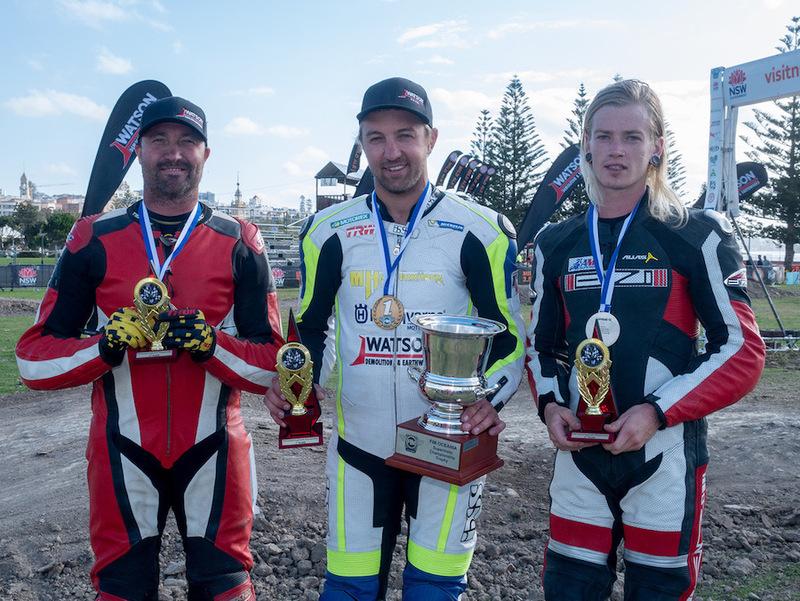 The top four placegetters in the FIM Oceania SuperMoto Championship, run on a custom-built street-based circuit on the Newcastle Foreshore, were the same in each race, the format, atmosphere and aggressive nature of the racing meant it was anything but predictable. German SuperMoto hero Markus Class was, however, not to be denied, winning each race but not having it all his own way – American Gage McAllister, riding injured after clipping a barrier during Saturday’s Australian Championship races would challenge the European and even led the last race for a number of laps. 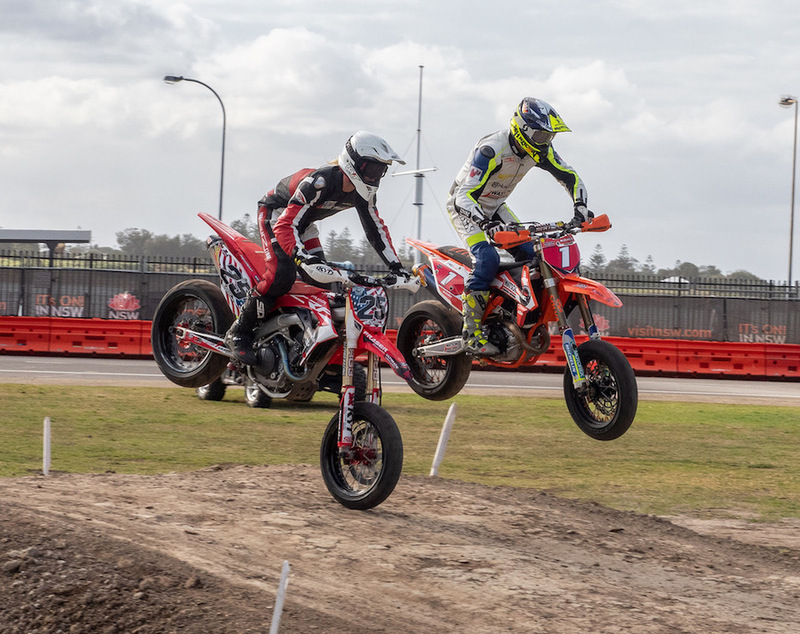 Class did, however, set the pace from the get-go, strong everywhere – fast on the bitumen, sliding his big Husqvarna into the turns, blasting the berms and riding the motocross section like the off-road champion he is. McAllister wasn’t far behind Class, but he couldn’t best the German. He look most competitive in the final race, when he took the lead early and held out Class for a number of laps, but when the big Husqvarna came past over the biggest of the jumps in front of the Coopers Roll Bar the American wasn’t able to charge back into the lead. In third overall was Aussie Veteran Craig Anderson, wearing oversized leathers and riding a SuperMoto for the first time in over a decade, our multiple championship winning motocross and Supercross champion showed he’s still got speed and consistency, and showing plenty of young blokes how it’s done.